Barbara Newman is a Senior Associate with Sigma Valuation Consulting, Inc. and has significant experience valuing controlling and non-controlling interests in privately held companies. 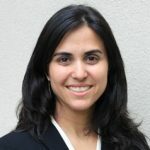 Barbara is an expert in determining discounts for lack of control and lack of marketability of non-controlling interests in business entities holding investment assets including real property, marketable securities, private equity and hedge fund investments, and other traditional and non-traditional assets. She also has significant expertise valuing fractional interests in directly held real estate. Barbara has been with Sigma Valuation Consulting since 2007 and has overseen the preparation of hundreds of valuations for purposes including gift and estate tax filings, marital dissolution, litigation support, corporate advisory, tax compliance and restructuring. Prior to joining Sigma Valuation Consulting, Barbara was the program manager of the Wildlife Conservation Society’s International Marine Program where her responsibilities included oversight and management of the Program’s multi-million dollar budget and financial reporting. Barbara holds a Bachelor’s degree from the University of Buffalo and a Master’s Degree from Boston University.